Order From Your Favourite Vendors! Sophie Morgan, a supporting character in Between Worlds, is twelve and has juvenile macular degeneration. Aside from attempting to improve accessibility for my readers in general, it also seemed appropriate to offer the novels in large print edition because of Sophie. However, trying to learn what the norm for large print edition books actually is proved more difficult than I had thought. I wanted to see what large print looked like so I could produce it for my readers. However, with all these “large print” books wrapped in plastic, I couldn’t look inside. So, I went home. asterisks to denote indented passages, like letters and Bible excerpts (necessary for the historical time line). I’m certain some areas could use improvement, but the document said that the most important factors in creating large print books for the low-vision community were spacing, font size, contrast, and font style, and in that order. I think I got those okay. It’s impossible to approximate with my own eyes how someone with low vision sees. I can blur my vision, but that’s not the same thing. Thankfully, an acquaintance of mine out West, Kyle Bergum, volunteers as an advocate for the Canadian National Institute for the Blind. He agreed to evaluate the first large print copy of The Move. All three books finally arrived in my home office last month. Because of their thickness, they cost more than the regular print ones. It’s a long story as to why I priced them at $18.99 CAD, but that was as cheap as I could make it if I hoped to support small book stores who should be able to order them in for their customers. A few weeks after that first visit, I finally woke up and noticed that the large print section was indeed where I was looking, except it took up a shelf-and-a-half further up. (I wondered how someone with low vision would ever find those—I’m 5’9” and had to look up.) When I finally opened one up, I was shocked: The font looked barely larger than that found in a child’s chapter book and it didn’t follow most of the ACB guidelines I’d read about and tried to follow. In fact, it looked more like a relaxing read for me, and I can read really tiny print. So, there you have it. Between Worlds is available not only in ebooks and regular print formats, but also in large print that follows the guidelines of the American Council for the Blind. You can watch the video below if you’d like to see what that looks like. Novels about dance can become too sterile: the ones I read as a teen (I don’t recall the series name anymore) always centered around a protagonist who was trying to make it. Fame had the same premise. A Chorus Line. Billy Elliot. Center Stage. One recent exception so far is Off Kilter. I always knew I’d write a novel about dance, but I wanted to write one that didn’t follow that generic plot line. (Though I did write one when I was 16 that will thankfully never see the light of day.) Although Between Worlds is about more than dance, dance plays a central role in Juliana’s life. How to Write about Dance in Fiction? So dance is part of Juliana’s life, but using dance in fiction carries a certain challenge: how to describe what the dancer is doing and feeling without boring the audience. Dance is a visual art form. I’ve written dance reviews, but just talking about steps wouldn’t have any effect on my readers. Instead, I had to talk about the choreography, costumes, lighting, the dancers themselves, because all those elements worked together. With Juliana, though, I don’t have access to all those elements. Does the reader care about the lighting in Juliana’s dance studio? Or does the reader want a detailed description of her dance outfits? I also need to remember that not all readers are looking for novels about dance. They’re reading the series instead because they like the premise of the series, or because they enjoy the juxtaposition of a historical storyline with a contemporary one. In addition, steps mean nothing to a reader who has never studied dance. As I debated my dilemma some more, I realized that when I wrote about dancers for other magazines, we never talked about the steps; we talked about what dance felt like to them, or what they loved about dance. If they were older dancers (like, way older), we discussed how they danced now. But it was never, or at least rarely, about the steps. How to Write about the Dancer in a Novel, Then? So I needed to find a balance. Too much description about dance, and I risked losing some readers. Too much emphasis on Juliana’s thoughts, and I risked losing yet others. I was confident I could achieve that balance, so the next question came up: what dance form to use? Writing Involves Rhythm. So Does Dance. Dance in fiction often focuses on ballet. Dance in movies currently seems to be more hip hop and street than ballet. I wanted something different, but I also had to be comfortable writing about it. So I chose tap. But how could I incorporate it so that readers who’ve never studied it understand what I’m writing? Aside from being my favourite form of dance, tap also has the bonus of fairly standard vocabulary, and at least to my ears, the terminology often matches the rhythm (or can be made to do so.) In the last scene of The Move, Juliana taps on her new tap board while working through the major changes that happened in her life. The scene was challenging to write, but I think it achieved the balance needed to express a teen dancer and still keep the reader’s interest. Let me know in the comments section what your thoughts were on that last scene. Be sure to mention if you’ve danced or not. Have Questions about Writing Novels about Dance? If you’re happening upon this blog post because you’re doing a project on dance for school, or if you have questions about writing and dance, feel free to leave your questions below. If they’re personal (i.e., you don’t want the world knowing your question and my answer), email me. I’ll certainly do my best to answer. What Does It Mean When a Story is “Inspired by” Something? As a writer, I have my fingers typing away at many different projects, which keeps my creativity flowing. 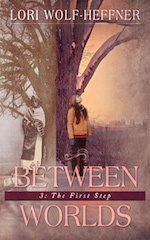 Today’s topic is my young adult series, Between Worlds, and the historical protagonist, Elisabeth. Elisabeth’s story is historical fiction, which means her timeline is based on documented facts about her time period. But does that mean Elisabeth really existed? Yes and no. Elisabeth Schuhmacher was inspired by a person who did exist, but she is not based on that person. There are two people who did actually live in the historical timeline of Between Worlds: Herr Blum, the teacher for the school that housed grades three to six, and Pastor Fröhlich, the Lutheran church pastor. They act as anchors in that time. I have some information about Pastor Fröhlich, who was apparently a controversial figure in the village, but I have almost nothing about Herr Blum. However, if I need either of these figures in a novel, I’ll have to fill in all the holes. I’m comfortable doing that with the pastor, because he’s down in the congregation’s minutes as causing a lot of issues. Writing about Herr Blum, though, is more difficult because of the lack of information on him, so you probably won’t actually see or hear him too often. There’s often too little information to create a fully fleshed character. No one likes having their negative sides on display in public. A good story requires showing characters’ negative sides. So I started with someone and built a character from that starting point. In other words, a real person was the inspiration for Elisabeth. Who Was the Inspiration for Elisabeth? Elisabeth was inspired by a great grandmother of mine, Katharina Wolf. But Elisabeth Schuhmacher is not Katharina Wolf. Katharina was born in 1901 in Semlak, Hungary. I only know her through a few stories in the family and several postcards she had written, though, because her son, my grandfather, died before I turned nine. Katharina got stuck behind the Iron Curtain in Romania, so she could never leave to travel to Canada, and for a period of time, Romania had also remained closed to travellers. Sadly, by the time her son and his family could travel to Romania to visit her, she had died. Katharina strikes me as an outspoken woman who placed family above all else. One of these postcards (or, more accurately, photos with a letter on the back) was her “most cherished”: it showed her father in his coffin, with her family standing behind him. (It was normal to take photos of deceased ones back then.) She numbered each person, and on the back wrote down who they were. This was all so my mom would know her father’s family. Where Does Katharina End and Elisabeth Begin? Elisabeth is outspoken and does get herself into trouble because of that. She was born a few years later, in 1905, but also in Semlak. Like Katharina’s father in real life, Elisabeth’s traveled overseas, to Pennsylvania, too. However, I have no idea what Katharina’s childhood was like, what she thought about the war, if she had an opinion on what we nowadays call PTSD, what she liked to eat, what she disliked…I have no information on any of that. If I had based Elisabeth on Katharina, I would have had to make a lot of assumptions about someone whom some people alive today will have known, and that’s just not fair. Plus it would have needlessly limited what I could do with Elisabeth and therefore affect the series. The various experiences my grandparents on both sides of my family shared with me also helped me make Elisabeth more real and not a cardboard cutout of an Eastern European peasant girl. For example, the family name, Schuhmacher, was inspired by my dad’s side. My grandfather lost his father at age 4 to appendicitis, and his mother never remarried. (I knew her as well as any grandchild knows a grandparent: She died when I was 17.) My great grandfather’s profession was shoemaking. In addition, because he had contracted polio sometime in his life, he had a limp, which is why Samuel Schuhmacher, one of Elisabeth’s cousins, has one. It’s hard for me to envision a life in the 1920s that still didn’t involve electricity, indoor plumbing, and “the Roarin’ Twenties” culture. As part of my research for the novels, I asked others from these German communities in Eastern Europe for their stories. If you’d like to see such discussions, you can subscribe to the Donauschwaben Villages Helping Hands listserv. It’s a group of family historians interested in researching this branch of their family tree, and through their questions, memories spring up that the older members share with us young’uns. It’s some of those memories that I try to incorporate into Elisabeth. Elisabeth Schuhmacher is a fictionally living, breathing character in her own right. But to help me better understand what her life may have been like, I’ve collected stories from several people and researched (and continue to research) her era, country, and village. If you have any questions about Elisabeth, feel free to email me or ask me online! All my contact info is in the footer, and I’d be happy to answer whatever I can. Reviewing Between Worlds 1: The Move after it had been released was exhilarating and depressing. Not only had I finally published my first novel, but I also found a few errors. In addition, several kind souls pointed out some inaccuracies to me, and I also learned a few new details as I researched Between Worlds 2: The Distance. I won’t be able to go back to each novel and fix mistakes after the fact, but improving the very first book in the series made sense, especially because I was switching distributors, anyway. Curious to know what was changed? Well, then read on! Elisabeth frowned. From what her father had told her, war could rarely be blamed on just one side. That was why so many dignitaries were spending so much time on the other side of Europe, in Paris, sorting out the mess the war had made. The villagers of Semlak would have been aware of their own political leader, King Ferdinand I for this series, but likely not of leaders of other countries or empire. And if they did know, there’s a good chance they may not have cared. I’m still trying to deduce just how much reading material was actually consumed by these people, but so far as I know, they got their news via the mailman, who announced several headlines and perhaps gave a quick summary and/or answered questions from the crowd. Despite best efforts, Elisabeth suddenly showed up on page 55 in Juliana’s timeline. I’ve made a few changes to my editing process now to make sure it doesn’t happen again. Sorry about that! I knew indoor plumbing didn’t exist at that time, so I assumed each household had a water pump. It wasn’t until I researched the home space more for Between Worlds 2: The Distance that I discovered the well. When I then returned to old photos I have of the village, I did indeed find one with a well off to the side. In addition, a character named Adam Pinczes in the first edition has been renamed to Adam Krehling in the second. The various church congregations usually married within their own membership, and Pinczes is one name that is recorded only in the Reformed (Calvinist) church, not the Lutheran church that features in the series. When I wrote The Move, I knew Sophie would be blind and simply assumed she would have no vision at all. However, the more I read, the more I learned that the blind community faces many challenges, one of which is the assumption that someone can’t be blind if they don’t “look blind.” One blind friend of mine in university had no vision, I believe, and another had some. By the time I sat down to outline The Distance, I had found an appropriate condition for Sophie and realized that I needed to make the few descriptions of her visual impairment more accurate. Unlike Canada, the Austro-Hungarian Empire had switched to metric in the previous century. So although these German communities had some of their own measuring units, other units were already in metric. In the first edition, I used imperial. 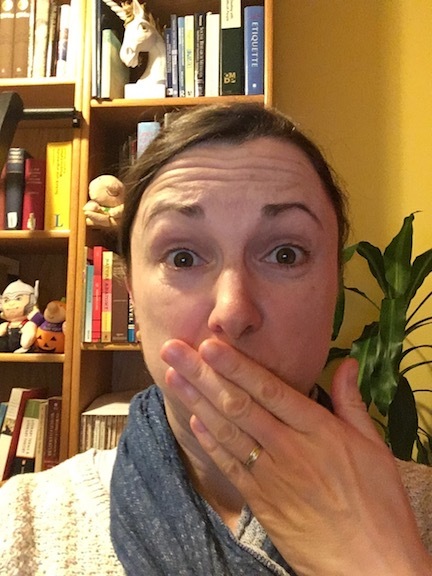 Will my readers forgive me? I didn’t realize until Between Worlds 2 went to print that I had renamed the dance studio. Of all the things! I had written from memory instead of referring to any notes and didn’t double-check that before sending everything off. So I changed it, too. Advice for those of you want to write as a career: create a style guide for your series! Another difficult aspect of writing about characters who lived long ago is putting yourself into their context without falling back on stereotypes, especially ones about village life. (There’s actually an entire genre in 19th-century German writing called the dorfgeschichte, which presents village life as idyllic, regardless of whether it actually was. It was inspired by Maltese writer Sir Walter Scott.) So I made some minor changes about Elisabeth’s journey into womanhood. Do You Need to Buy the New Edition? Between Worlds 3 is tentatively scheduled for release at the end of March. To stay up to date on plot developments, get a sneak peek at the new cover design, and get coupons for discounts for in-person purchases, sign up to my email list. The first quarter of 2018 is almost over. So, I’m going to ask that ominous question, the one that sounds like the monster that’s been hiding in your closet all these years, whose presence you keep denying to yourself. How are your New Years’ goals coming along? Ouch. Did that hurt? Did you feel an arrow fly into your stomach? Or maybe into your head as you suddenly remembered you even had New Years’ goals? I’m certain you’re not alone, and I’ve got news for you: it’s not too late to start the pursuit again. This might be painful, but quarterly reviews clarify for you what’s going on. What’s really going on. They break the safety bubble you live in, because you’re faced with the good, the bad, the ugly, and the very ugly when you review your progress of the past three months. But keep this in mind: In my experience, the more honest I am with myself and my progress, the easier pursuing my goals becomes. Why? Because I fear less. Am I where I want to be? If you’re on track with your goals, you probably don’t want to mess with things. But if you’re off track, then it may be time to get help. Here’s what happened to me last year: For the first time during my annual review, I calculated how much the time I’d spent on marketing efforts, multiplied it by the hourly rate of what I’d earned for the year, and used the total as a measure of how much money I’d “spent” on marketing last year. I then reviewed how much new business I’d won over the year. The final figures weren’t pretty. In fact, they were pretty devastating. So, I contacted a marketing consultant to do an audit on my efforts and set me on the right path. But that’s what I’m talking about. Even if you’re trying to lose weight, haven’t reached your word goal, or still have the same number of customers as last year, get help! Either join a group, see your doctor, find a good therapist or coach…Whatever your means allow, now’s the time to get a little assistance. Do You Need to Re-Align? The beauty with checking in on your goals every quarter like this is that it gives you a chance to re-align them with where you are now. Remember, you created your New Years’ goals in a certain frame of mind, at a certain time in your life, under a certain set of circumstances. If your situation has changed, you may need to adjust how you achieve your goals. What if you planned to write 1,000 words a week but the serious diagnosis of a loved one rammed you off course? It doesn’t mean you can’t write at all. What if you wanted to quit smoking but in the meantime lost your job, leaving you with more stress than your non-smoking self can handle? That doesn’t mean you can’t regain your footing. You adjust. (And, of course, get help so you can make it through.) Remember, every little bit helps, so don’t discount small, regular steps towards your goals. Not everything has to be achieved by leaps and bounds. Looking at progress is a powerful motivator to help you move forward. It’ll help you figure out what’s gone wrong and hopefully inspire you to plan your next steps to get back on track. They say every journey begins with a step. Take that next step now to get back on the path you dreamed for yourself this year. Joining the right group can help you achieve the goals you’ve set for yourself this year. Not only can group members help you stay accountable to your plan, but being around others with similar goals can really affect your ability to stick to your own plan. I belong to a professional writing association in Canada, and it has kept me going over the years. But how do you know you’ve found a good group? I’m a writer and therefore belong to a profession that has an unusual trait: it invented a term for when you run out of ideas: writer’s block. I forget who said this, but it seems writers are the only ones who’ve done this. Have you heard of doctor’s block? Sales rep’s block? Politician’s block? Writers can easily spend an entire evening talking about how they have no ideas. The catch is that you want to surround yourself with people who are moving forward. Even if these people fall three steps back, they find enough energy to take one step forward. If they then fall back five, they still get up and take one forward. You get the picture, right? No matter what group you join to help you with your New Years’ resolutions, it’s the you-can-get-past-this attitude you’re looking for. The last thing you want is for everyone around the room to nod their heads in understanding and then start sharing similar stories. By the end of the evening, you’re all depressed. What good does that do? Of course you are! Whatever your goal, you’re going to hit roadblocks. It’s inevitable. And those roadblocks will at best frustrate you and at worst make you debate if your goals are worth striving for. How do you overcome these ugly monsters? You differentiate between venting and commiserating. Venting releases the pressure that a roadblock has built up, and there’s nothing more freeing than talking with others who know exactly what you’re going through. Commiserating, on the other hand, means everyone joins in and laments with you, and nothing is accomplished. Keep stewing about the issue, wasting valuable creative energy. Decide to change something in the situation (which often means changing something about yourself) and take your first step towards that change. Ask your group for various options, and then commit to your next action, even if it’s that you’re going to think things through and report back to the next meeting. Check out the group’s online presence and see if it feels like a supportive, knowledgeable group to join. Ask the group’s organizer if you can participate in a meeting. Then you can see how the members support each other. If you don’t want everyone staring at you, ask if you can meet in person with one or two members. There are ways to get a feel for the group before committing to it, and these suggestions are especially helpful if the group costs something to join. Joining the right group can be just the thing to propel you forward faster than you planned. Don’t sit back and deliberate if you should join: do some research, then send out those emails and ask for more information. Do it now before the month is over. I’ve been working my way through David Allen’s Getting Things Done, and it’s given me the full picture of everything I’m trying to accomplish in life. It’s quite daunting, actually. The first exercise he has you do (and I’ve blogged about this before) is to write down absolutely everything that “has your attention.” I like how he uses that phrasing, because it gets you out of the mindset of a formal to-do list and into the mindset of brainstorming all the things you’ve got swimming around in your head. What this all means for me, then, is that I’m changing the purpose of my blog. I’ll be starting grad studies soon to further my education in German, so the time I spend writing here each week will shift over to preparing for my studies. (If you’re here because you’re looking for a copywriter, I’m still taking on clients.) As such, I’ll use the blog for announcements, book reviews as they come along, and special interviews and important topics, but I’ll no longer be blogging weekly, at least not for now. If there’s one thing that reading David Allen’s book has made clear to me, it’s that I need time to focus. Enjoy the few days left of summer! If your company is having a hard time finding good writers, then read on, because I have a few tips for you. I was recently headhunted for a writing position at a company. (Yay, me!) I did apply, but then I pulled out because I understood they were looking for a part-time employee when in fact it was a full-time position. However, the tone of the initial email, plus other job descriptions I’ve seen for professional writers, have brought me to this week’s topic: What professional writers are really looking for when they read a job description. Don’t begin any emails to a writer with generic attempts at boosting their ego. Writers write, so they can see through that kind of writing in two seconds. For example, an email I received once said, “You probably get emails like this all the time.” (Their emphasis, not mine.) These sorts of words waste the writer’s time. Just say hi, introduce yourself, and explain what you’re looking for. Don’t toss away resumes because the writer ends sentences with prepositions or doesn’t use “whom” or uses “their” in the singular (see #1 for an example). Although the first scenario is a leftover from the days when people thought English should be more like Latin, using “who” as an object and “their” as a singular have their time and place. If you otherwise like the writer’s applications, ask them about their writing during the interview. Do mention that you’re a workplace that understands how to balance the company’s needs with the writer’s desire to produce good copy. In other words, you won’t expect a creative, well-researched, 15-page whitepaper in one day, but you do need a writer who can occasionally pump out a 100-word eblast in an hour (after appropriate company training). Do move language requirements to the very bottom of your description, because listing them at the top of your description sounds like it’s the most important thing you’re looking for. Consider these questions: What style of writing do you want? How much experience? In what industry or industries? What kind of personality would fit your team? Those are more relevant to a professional writer and should encourage more suitable applicants to apply. Do feel free to ask for company-specific writing samples, but only once you’ve whittled your selection down to those you’ll interview. Asking for company-specific samples during the cattle-call phase signals to pro writers that you have little respect for their time, and many believe you’re just looking for free copy for your website. Ask for applicable portfolio samples first and then a company-specific sample later. Do understand that many (but certainly not all) writers are introverts. Offering a quiet corner where your new writer can work with relatively few disturbances would be incredible. Just as job searchers can increase their chances of getting hired by customizing their job application to your company, you’ll likely increase your chances of finding good writers if you follow these tips when trying to recruit a good pool of applicants. *I edited the order of the top paragraphs before the first headline. Sorry – saw a better way to order things. *And I edited the entire post for point-of-view consistency. I apologize for that, too. I’ve read over the years how the brain doesn’t fully mature until age 21 or 22. I also read a Quora response from someone (I’ve lost the reference, unfortunately) who said that he had reached his dream (house, car, wife, kids, dog) by age 39 and only then realized he was living the immature dreams of a teenager. As teenagers, we try on different identities, experiment with things we shouldn’t be experimenting with, and, of course, swear to God that we know everything while ignoring the advice of usually well-meaning adults. Many of us exit this phase with some level of maturity. But one trait mysteriously remains: we still believe that copying others means we’ll have the same effect on people as those others. For a writer, that’s a pretty clumsy sentence. Let me explain what I mean. We look at a celebrity’s hairstyle, love it, and then want it for ourselves, even though we don’t have her face, cranium shape, or body type. We also don’t have a hairstylist backstage all day to fix it for us or two hours each morning to do it. Many women love elegant shoes, which usually involves a high heel. They find a pair of these elegant shoes, put them on, and then forget to dress to match. Or worse, they don’t know how to walk to match and unfortunately look rather clumsy. There’s also the stereotype of the middle-aged man who’s suddenly worried about his hairline and pot belly and makes weird attempts at turning back the biological clock. Several years ago, I came across this saying: Be yourself; everyone else is already taken. When I heard it, I lost an invisible skin I didn’t know I had, the one I grew in my teen years but couldn’t shed after they passed, the one that quietly urged me to try and be like others, even well into adulthood. I consciously fought this skin, but it hung on like a hangnail: you pick at it, and it hurts a little, but true to its name, it hangs on. Coming back to my initial thought, I think when we copy others, we’re missing part of the context that makes each of us an individual. Many writers know this, for example: there are, really, no new stories. What makes stories appear new, though, is the context the writer brings to it. A skilled writer infuses the milestones of an age-old story with their own thoughts, feelings, and experiences. A story about a family torn apart by the matriarch’s death, in which the protagonist searches for the meaning of her own life, finds love, and then comes to a realization she didn’t expect, will be one story in the hands of the daughter of Chinese immigrants and a much different one in the hands of a woman who had spent 20 years in prison. So what does this mean for the haircut we want or the house we so desire? Don’t ask yourself how you can look like that or how you can earn like crazy to have a house like that. Instead, look at the feeling your object of inspiration has awoken in you. Is the celebrity haircut new and fresh, and you’ve had the same one for five years? In the hands of the right stylist, the request “I’m tired of my old haircut, and I’d like something new that brightens my face more” will have the same effect as the celebrity haircut has on that celebrity. Do be inspired by the things and people around you! But if you’re looking to have that same effect on others, you won’t achieve it by being like the objects of your inspiration; I believe you’ll achieve it by using the context that makes up you in a way that achieves that same feeling. It’s how celebrities get the attention they do, how writers create new stories from old, and how that charming little home down the street looks just as perfect as the mansions on the other side of the tracks. What’s the Point of the Arts? I do believe the arts are a spiritual endeavour, one that’s not always easily put into words. But when I read about cuts to the arts in schools, or run into someone who asks what the point is of studying literature or fine arts, because, hey, no one can understand that stuff, anyways, it frustrates me for two reasons. For starters, the arts in almost any capacity feeds humans just as the sun does. It’s obvious to me and I don’t see why people don’t get it. Second, the moment someone complains, my throat closes up because of the frustration in that first point. It’s a weird thing I have: I get frustrated, and then the words disappear into a jumble in my head I can’t quite dislodge and unpack to calmly explain my point of view to someone. So, without delving into scientific evidence (there’s lots out there, I just don’t have time to review a chunk of it and spit it back out to you in 800-1,200 words), I’m going to tackle the question from a individual viewpoint, which, I’m learning, is a very Romantic-period way of solving such problems. The arts (and that includes music, dance, drama, visual arts, and everything in between and across disciplines) by definition are about expression. Not allowing a human self-expression through the arts is no different than plastering their mouth shut with duct tape. In essence, individuality is at the heart of the arts. Many artists hope to make a living with their work, but many use it as a hobby and outlet, writing away stories no one will ever read, or strumming on a guitar for the sheer pleasure of soothing the nerves. When we always approach the arts with, “How will you make money off of this?” we miss the true value for the individual. Moving past the individual, we come to our culture. There are most definitely songs and paintings out there I don’t like for one reason or another, and yes, I do sometimes wonder who was paid to produce “such a horrible piece of work.” You will also have your preferences for stories, music, and concert dance. Whatever your view on the subject, one thing is certain: if artists didn’t use their voices to produce their work, we wouldn’t be having these discussions about culture, power, colonization, and the like. It’s because of the arts that voices are being heard on these very difficult subjects. Because of the high emphasis on self-expression, learning the arts in school helps children find outlets for their own personality. For those who have difficulty doing so in words, they may find comfort in music, drawing, and dance. For those who feel physically awkward, channeling their energy onto paper may help them share their feelings and release that tension. But where’s the monetary value? The economic incentive? This one always gets me. The entertainment industry is perhaps one of the largest industries in the Western world, and people still ask where the monetary value of the arts is. Every business needs talented people whose gifts for creating are needed for marketing, communications, and even product development. Again, you don’t get that talent by not nurturing the arts. Our world is huge, and there’s no way I can humanly know all its history. But my general impression is that artists don’t start wars. They may start disagreements, and these disagreements may turn into huge arguments, but I’m not aware of them starting wars. I believe artists, through their vocation, study the human condition (with some exceptions). They see the value of human life and honour the exchange that occurs between us when we communicate our true selves. I believe artists are often more comfortable than many of us in dealing with human emotions. So it makes no sense to me that we cut back on the arts in schools and label them as useless. I know teachers only have so much time and training, and they themselves are also only human. But I don’t think we can afford to keep cutting back on the arts – humans need to express themselves, and what is school if not a place to help kids grow into an adult, one who is ready to participate in this world as a fully realized and actualized human being? And how can this goal be fulfilled without teaching the students the many different ways they can share themselves with the world around them?